exclude the warmth of the sun. 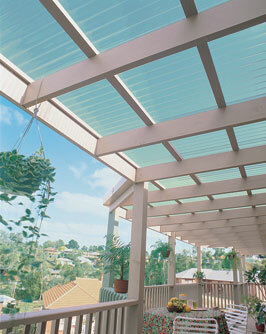 Suncall corrugated PVC roofing is a low-cost, translucent, corrugated sheet ideal for use around the home. Suncall corrugated sheets will gently and evenly diffuse natural light, reducing the glare from direct sunlight. This plastic corrugated sheeting is versatile and can be used for both ordinary roofing or skylights, providing protection from weather extremes while still making ample natural light available. 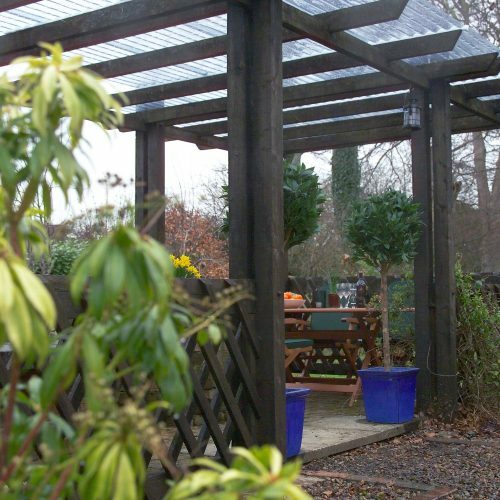 They can also be used around patios and pools as both a privacy screen and a windbreak and will not exclude the warmth of the sun. Suncall PVC corrugated sheets are lightweight, flexible, and easy to handle or store. Suncall has effective sheet coverage of 610mm. Before you order materials and commence building, please check the spanning table below for the maximum possible distance between battens and purlins. The sheet’s length and sheet coverage table will help you calculate how many sheets you will require. 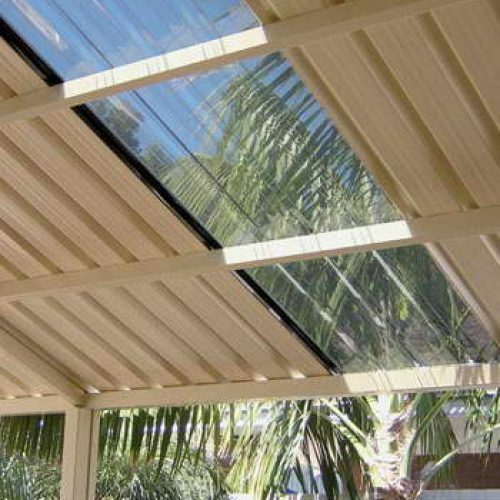 Suncall is fixed and flashed on similar principles to those of steel roofing. Start by fixing the first sheet at the end farthest from the usual wind direction. If end laps are necessary, start at the bottom corner. Allowance needs to be made when drilling screw holes so that the sheet can move freely as it expands and contracts. Screw holes must have a minimum diameter of 10mm. Avoid over-tightening as this may cause the sheet to crack or split. Before fixing sheets, apply white paint along the battens or purlins to minimise damaging heat build-up under the sheet, which will cause discolouration and deformation. The standard corrugated profile is side lapped by one corrugation; however, depending on the degree of exposure and weatherproofing required, this can be increased to two ribs. Please download a copy of our Suncall Installation Guide and carefully follow its instructions. You could try some practice holes using an off-cut or the part of a sheet which would be covered by ridging or flashings, etc. You may find it easier to drill the hole for the screw first and to then enlarge this to 10mm for the washer. Do not store stacks of sheets in direct sunlight as the uppermost sheets will act as a magnifying glass, intensifying the light and heat as it is transmitted through the stack and possibly causing damage or distortion to those sheets at the bottom. 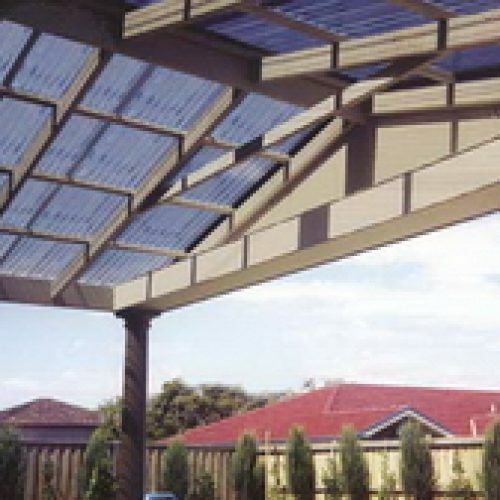 Like all plastic roofing products, Suncall is subject to the effects of weathering and the very high levels of ultra-violet light which are present in New Zealand. This means that, over the years, there will be some loss of light transmission and impact resistance. Please consult our Suncall brochure for the warranty.